Total control high performance dedicated servers when quality matters. If your website receives a large amount of traffic and you are looking for web hosting that gives you complete control over your hosting environment and server resources, go for dedicated hosting. 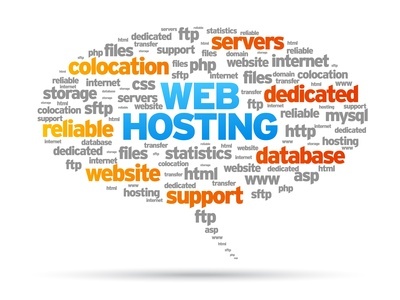 Choose one of our tailored hosting packages to suit your business needs. We provide a free setup as well as thorough assistance for dedicated servers. Stay calm with our professionally managed services that will efficiently cater to your particular business needs. At Complete Cloud, we are dedicated to provide you with the high performance infrastructure. Our Australia based data centres deliver reliable and super-fast page loads with 99.9% uptime. We understand that no two businesses are alike and every individual business has its own needs. So, we offer customised packages that can be tailored to your specific business requirements. With the entire server to your disposal, you’re in total control and free to utilise and customise your hosting environment. Our team regularly analyse your requirements and server performance and will always there to recommend you for better server utilisation and performance. With dedicated hosting, the entire server is totally devoted to your business. With it, concerns like low performance and slow page loads will almost never happen. Dedicated hosting guarantees you with satisfied performance and reliability. With dedicated server, you can tailor your complete hosting environment including your firewall setup, changing of protocols and many more. And as we’ve said, we will be there with you all the time to help you in case of any doubt or problem. We at complete cloud provide you with round the clock support. You can reach us by any means you like, be it a phone, email or live chat. We’ll convey unmatched and personalised support to your business.